The Christmas decorations have been boxed, the reindeers are back home, Rudolf’s hangover is… ‘over’, so I thought this was about the right moment to start the Vicomte 1916 build. Although Gaston is still having some ski holidays, we can have a go with a bit of history. At the end of the sixties, the original Baron was designed on the edge of a kitchen table by Christian Chauzit as a trainer for one of his friends. 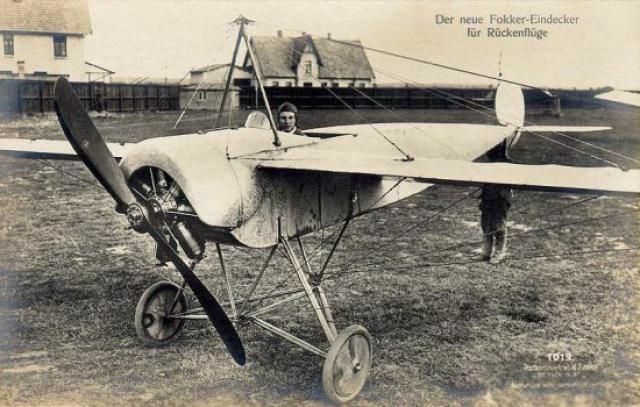 It looked a bit like - very stand off, in fact - a simplified Fokker Eindecker but with oversized tailplanes for easier training purposes. Christian was working for the French ‘Modèle Magazine’ and his boss, Mr Briot, allowed him to have his plan blue-printed in the mag. But there was no kit available at the time and everyone had to build it from the free plan and hundreds of them were built. Here’s the original published drawing. The designer himself realized it really looked ugly, so some ‘alterations’ were planned soon enough. 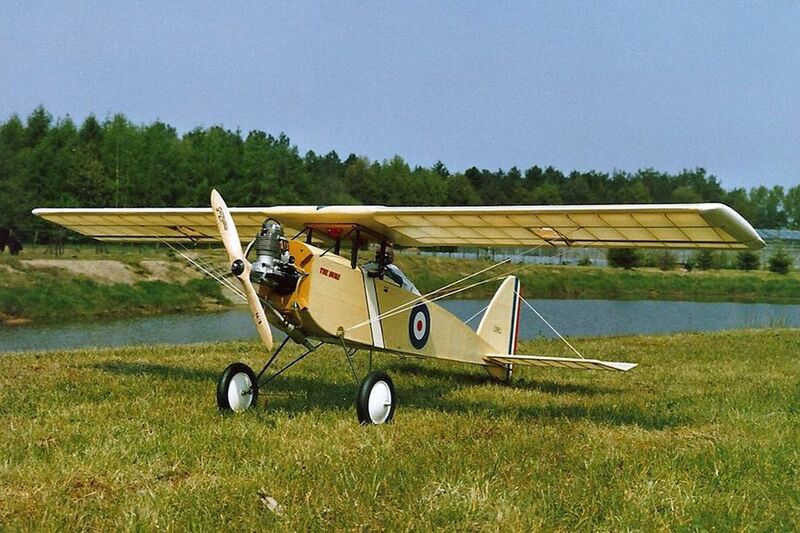 Later Mr Briot locally produced a kit named ‘Baron 1914’. Here is a (bad) picture of the plans included at the time. 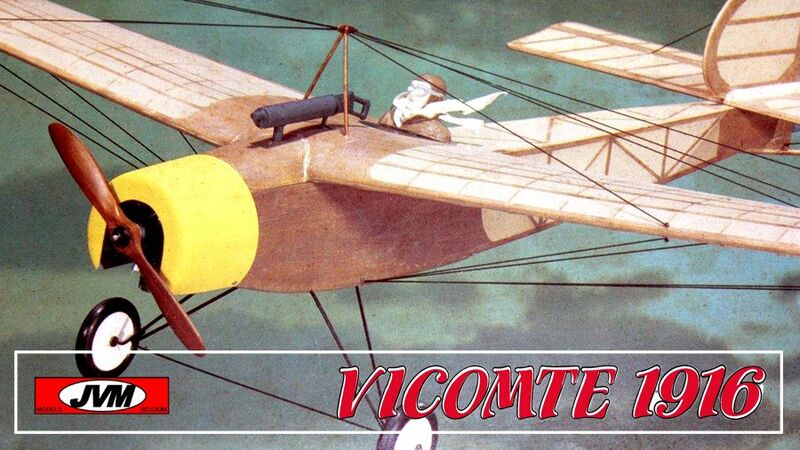 He also granted a licence to Belgian Svenson Models from Moerkerke (near Bruges) to have a kit - named the ‘Vicomte 1915’ - manufactured for international distribution. An annual cup, named ‘Coupe des Barons’ is created, the Barons are still built in even more massive quantities and it becomes one of the most famous trainers in France and… in Belgium as well. 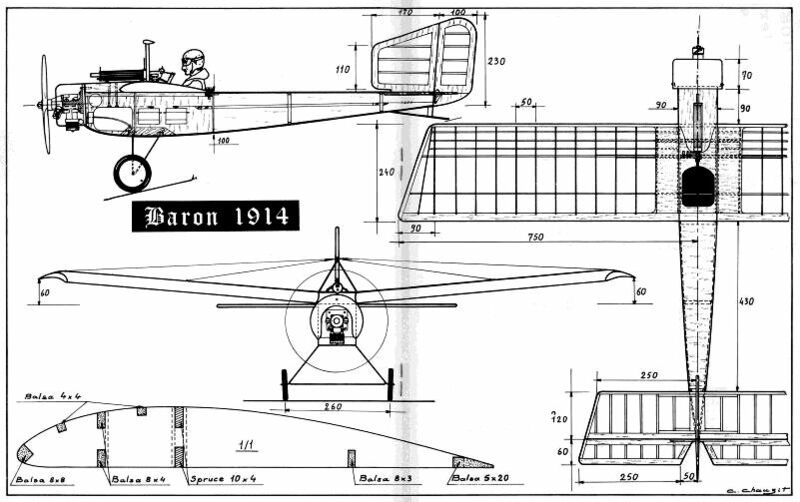 The Baron will have some ‘cousins’, like the Ferber with low wings or the Duke with parasol wing. Here is a Svenson Duke. Good choice Chris, some simple bits to build confidence and enough tricky stuff to push you, good preparation for the Fury build. Nice looking model as well. John....get a move on Control. Very kind of you to comment here. Just as you wrote, some "simple bits" together with some more 'complicated' stuff, for me at least. I was planning since a while to have a tribute to the Svenson family of kits and certainly to José's courage to bring this kit back to life. But very true that it will push my limits and hopefully give me some appropriate preparation to the Fury Class. Thanks again & keep up the mojo, it's a good un, me thinks. I still plan on building one and will be following your progress. 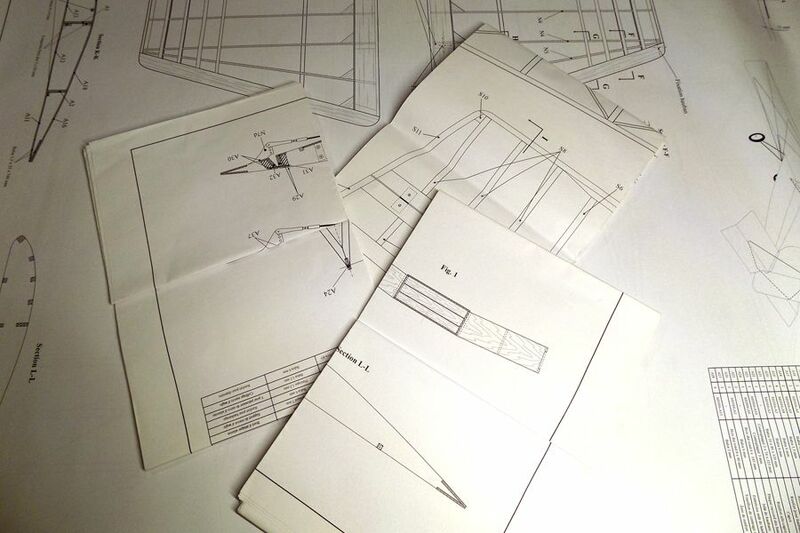 I have my plans unrolled and will be marking them up with any hints you pass along as you do your build. I will be watching your build with interest. This is a picture of mine, modified to incorporate ailerons, as yet unflown. I am toying with entering the Coupe Des Barons this year but as the venue is a five hour drive from La Creuse, none of my club colleagues are interested in joining me! 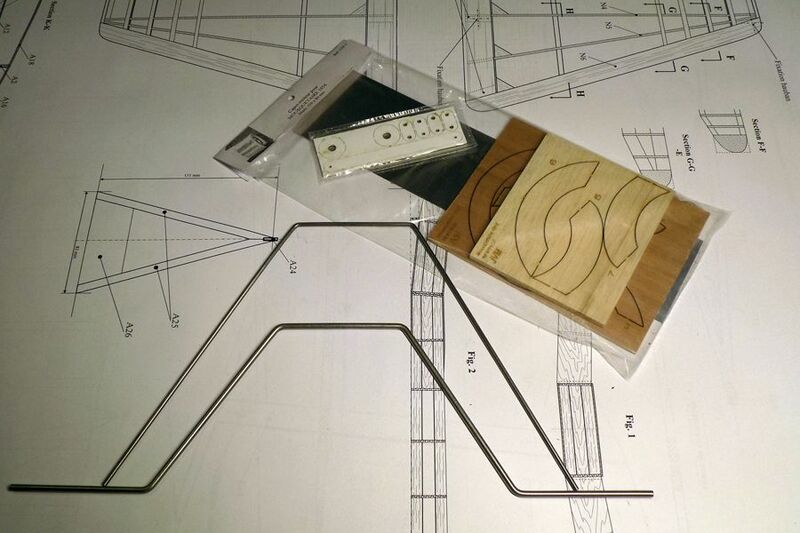 I will have to make another wing as ailerons are not permitted in the event. I will also have to fit a pilot, dummy flying wires and a machine gun to be eligible. There are several light-hearted rounds to the competition including a pylon race, a limbo event, knocking over balsa or foam one metre high sticks and chasing a trainer towing a paper streamer and cutting it off with your propeller. The attrition rate is enormous! Thank you for visiting and commenting, gents. @ Steven > I hope at least there will be 'something' for you to pick up from my build. 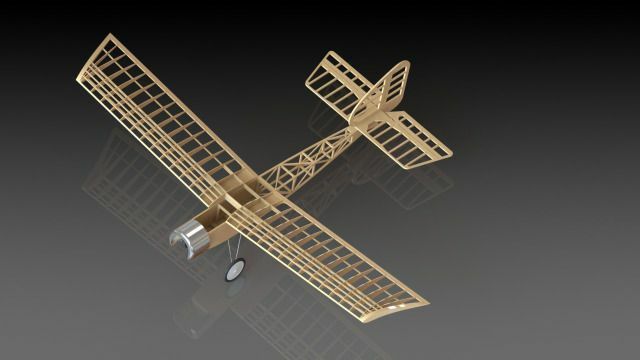 Please remember it's my first balsa build. When you have a go with the Outerzone Vicomte plan, don't forget that the scan is slightly 'warped' and, for example that the fuse longerons are not really straight. 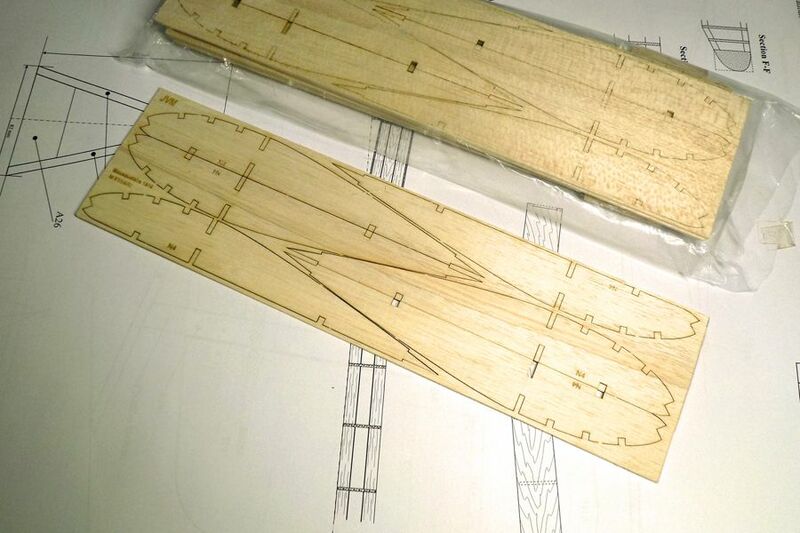 So, may I suggest that you should use a straight ruler to build your fuselage sides instead of just following the drawing to pin your wood. @ Levanter > great to have you here. Are you going to have a build blog when you start the GTC? 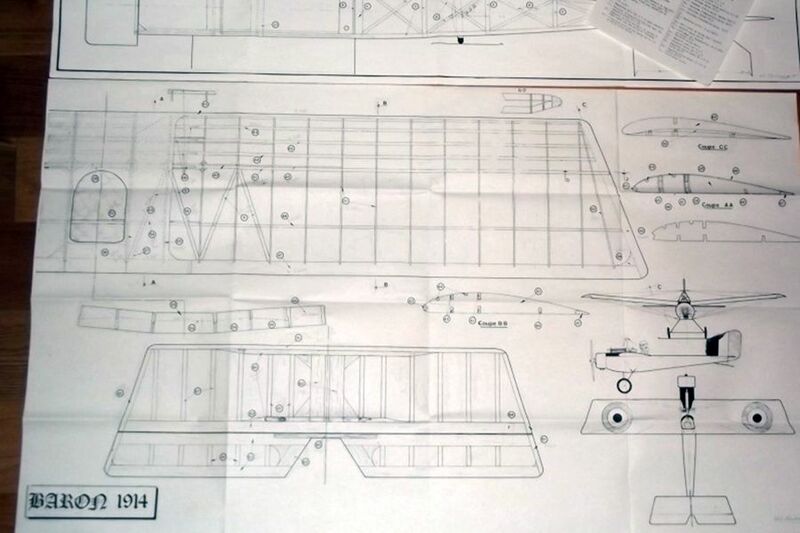 @ David > I will build mine as a 2 axis trainer as per plan first, but as I have a second set of wing ribs the idea is to have one with ailerons as well later. Aaah... La Coupe des Barons... I would like to sit in that event at least once, but it's a bit early time for now, I'm afraid. Is it still in that little place (Sainte Marie d'Alloix?) between Chambéry and Grenoble? I would build with ailerons from the start. 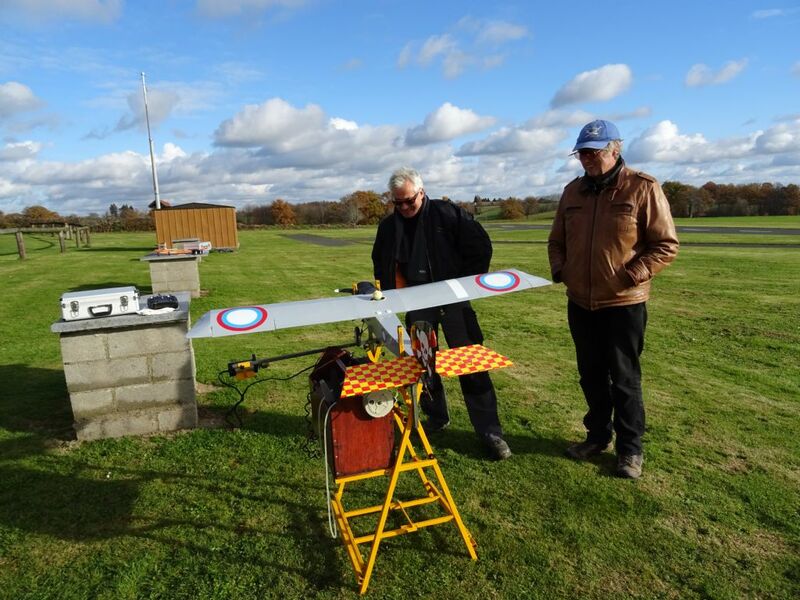 IMHO, aileron control models are easier to fly and are actually more sympathetic to less experienced fliers. R/E models can be a little sluggish. Just reduce the dihedral a little - just to make sure that it is still responsive enough without being overly sensitive. Thank you for jumping in and for your advice, Martyn. Aside that compatibility problem and after reading a lot of reviews, it doesn't appear that the Vicomte is 'lazy' at all with R/E only. Very probably due to XL rudder. After Briot ceased his activities, Baron Models took over the die forms and later Svenson sold his licences to a Spanish manufacturer, which has apparently ‘disappeared’ as well. Obviously, original Svenson Vicomte kits became extremely rare and are quite expensive nowadays. 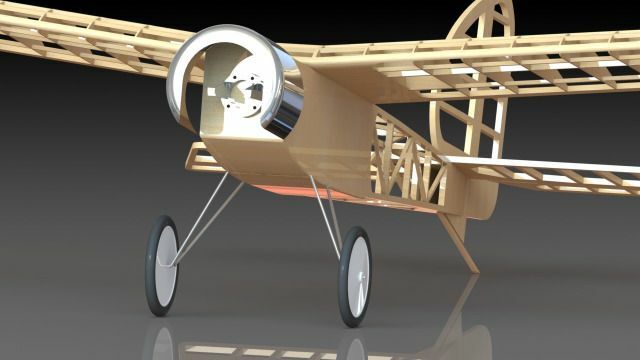 Early 2016, a small group of Belgian modellers bundled together and recreated a CAD drawing, .dxf files & a laser short-kit following the original Svenson Vicomte 1915 drawing. As there were 4 of them to ‘participate’ to the project, they initially called their product the ‘Mousquetaire 1916’, the French translation for Musketeer. Unfortunately, the group got split after only the two first prototypes were on their way to be finished, but one of the Musketeers, José, decided to proceed with the kit nevertheless. 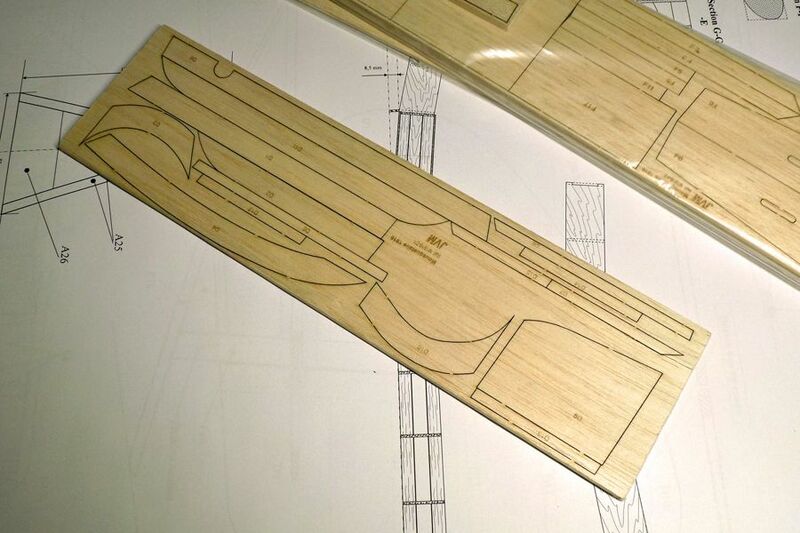 José is a carpenter from the Liège area, also running a laser engraving and cutting business. He also decided to ‘redraw’ the Svenson plans as their Outerzone copy isn’t very accurate - read distorted - probably due to an uncalibrated scanner. 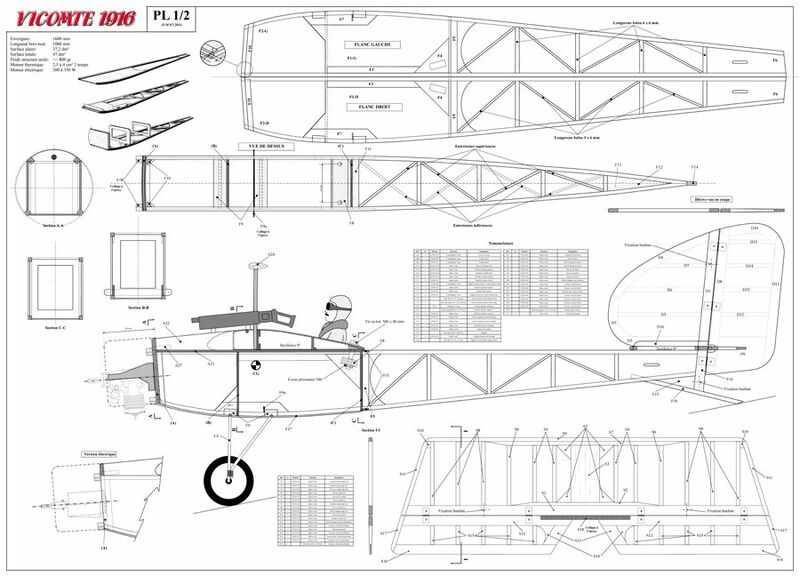 José drew both fuselage views in ‘shoulder to shoulder’ position and, even better, both half-wings. I'd agree that they're quite expensive now - I sold my kit early 2015 for over £75. Looks like they're a good flier with a low wing loading. Yes the Coupe Des Barons competition takes place at Ste Marie d'Alloix this year, 294 miles or 473 kilometres away from here. @ David > thanks for the link to 'ScaleDreams', but they're a bit 'strange' as they have nearly nothing in stock except for a few kits that the guy designed himself. If you place an order, they get one themselves and ship it over when it arrives. 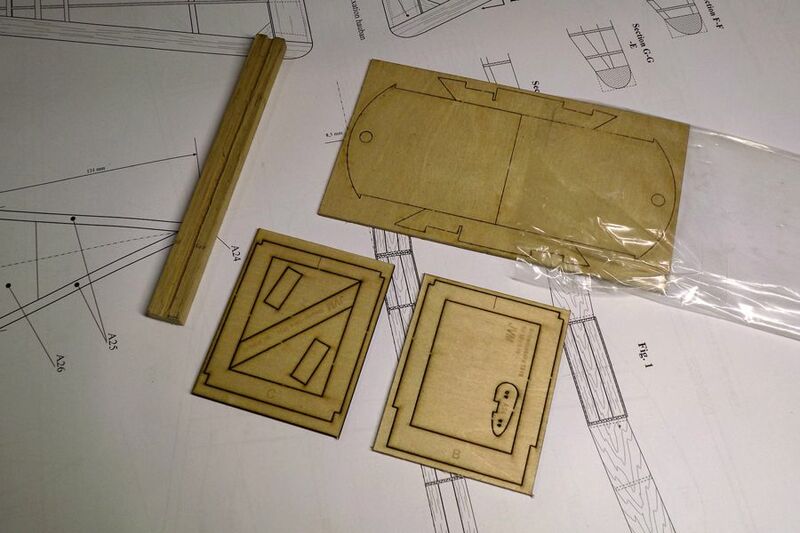 Anyway it's a French 'Baron Models' kit - die cut and not laser cut - that you can find a bit cheaper in France. IIRC the ribs and spars are different from the Vicomte kit. Maybe I should write "could find" here as they seem to become rare in France as well. If I remember well, I think that it's the same kit that you used for your own Baron... ? My kit was produced by Baron Modeles and came in a simple cardboard box with a small printed label stuck to the left hand side. That looks like a huge Fin/Rudder. Probably needed due to the dihedral and lack of ailerons. Well a Junior 60 has even more dihedral but a much smaller fin and rudder! I built the Svenson version many years ago powered by a OS 40 four stroke I purchased in 1987. It is still flying regularly today and is one of my favourite flyers. It is 3 channel, on 35mhz radio and flies so slow and stable. In windy conditions it will just hover and even fly backwards. 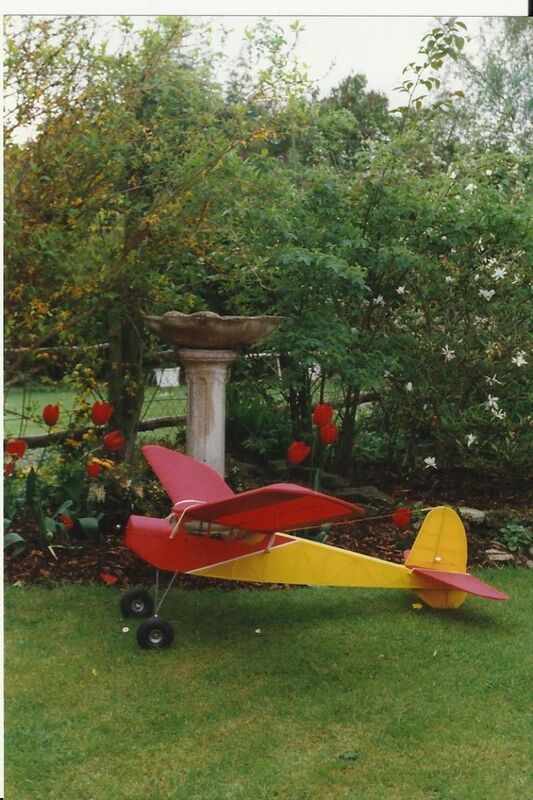 A real vintage style plane and really easy to build. The ScaleDreams kit appears to be the same as yours, David. It's a die cut 'Baron Models' one, but most of the dealers/shops still use the fancy coloured box on their webstores. The more recent kits came - as yours very probably - in a white carton box with a small B/W label on it. Trying to get the costs down, I guess. Absolutely, Martyn. That fin/rudder really is 'huge', but I guess that makes the bird so distinctive. I thought there was enough history now, enough words, so let’s have a few pictures of the kit instead. Normally there are the two sheets of plans - already shown - but as I bought a second set of ribs, José provided me a third one. 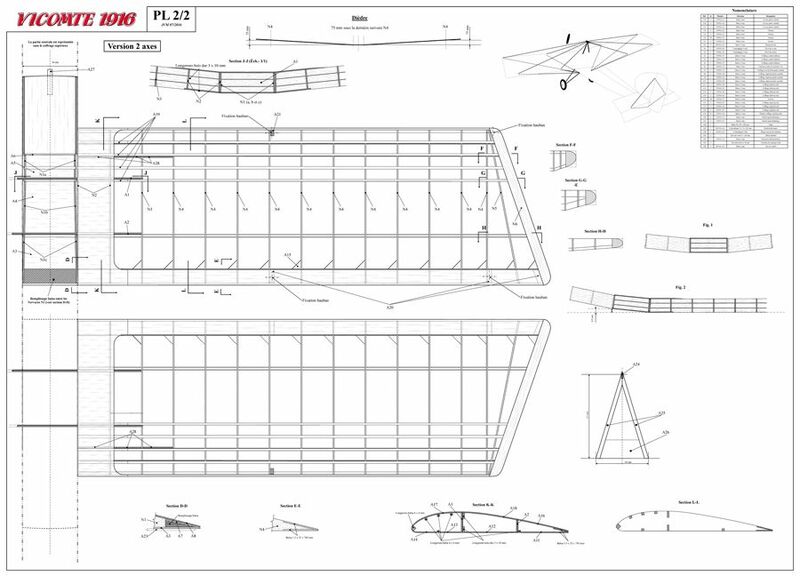 The drawing shows the wings with ailerons, including both bell crank use - Peter would love it - and dual ailerons choice. As I didn’t need another large cardboard box, I had the IDEA to take a large yellow/blue Swedish bag to collect the bits. Perfect as José packs all the kit sub-assemblies in individual plastic bags. … and finally the ply set of lightened ribs. 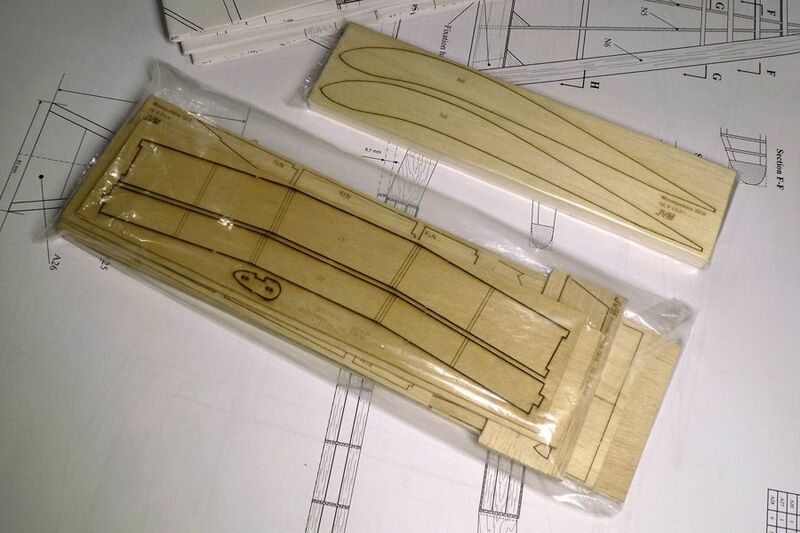 There’s is also some pre cut 1,5mm balsa sheeting for the centre section and top & bottom of the fuselage. 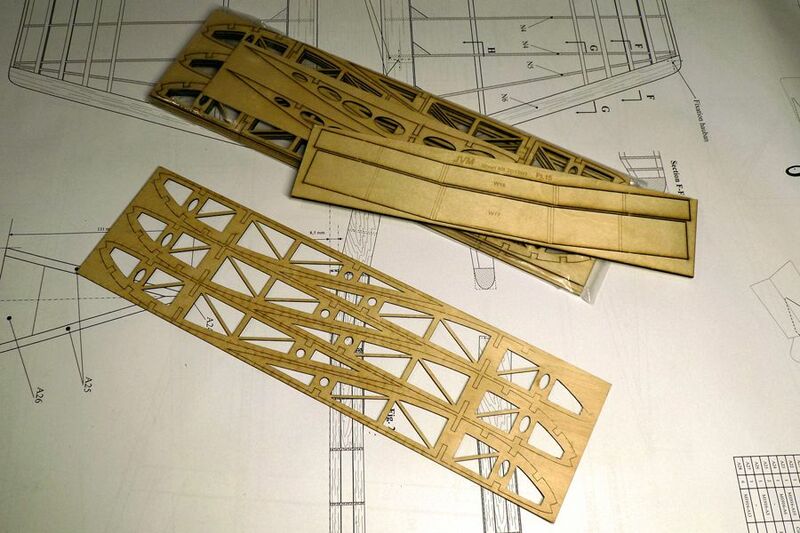 In fact all one has to supply are the ‘longer’ strips like spars and fuselage longerons. Of course, I have no experience at all with kits or short kits, but I’m quite happy. Loving the quality of those parts! This looks like being an interesting build. I have to admit the aircraft is not really my 'cup of tea', but luckily I can appreciate a good build when I see one..